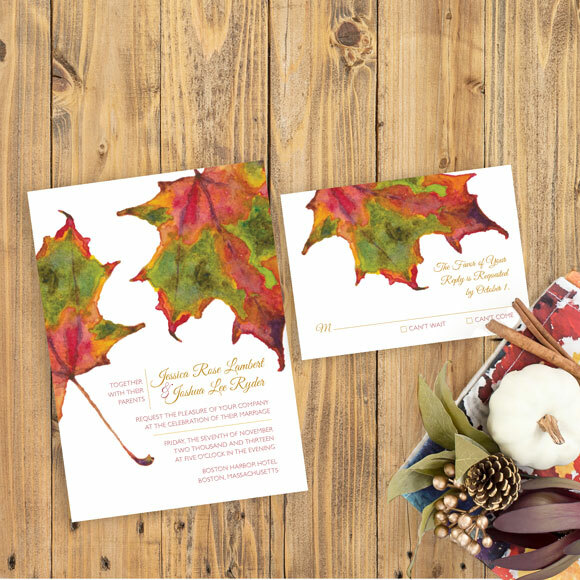 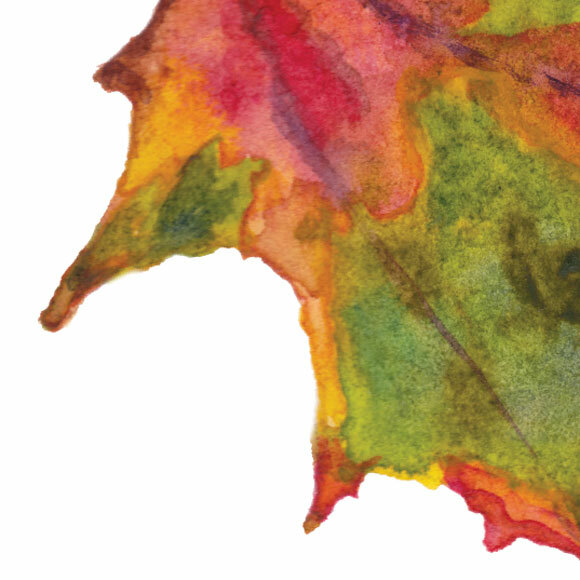 The Autumn Leaves invitation is perfect for an autumn wedding! 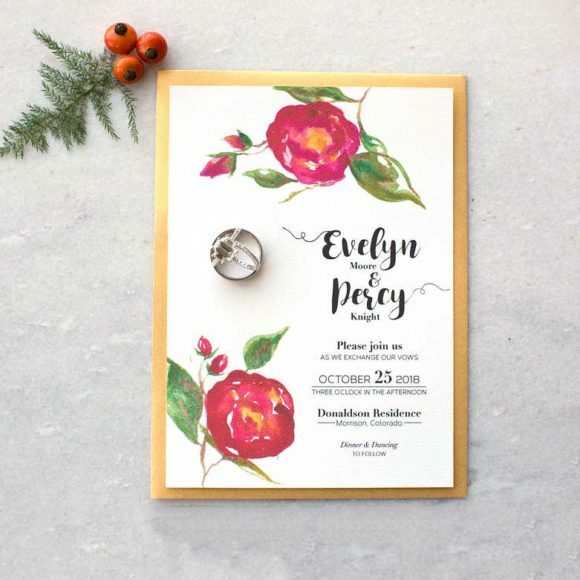 Autumn weddings have become more and more popular here in the northeast the last few years. 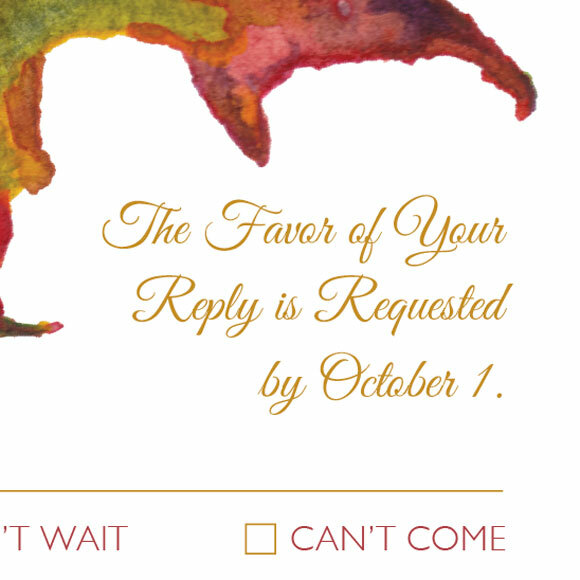 I tribute that to a lot of couples adoring fall foliage as much as I do. 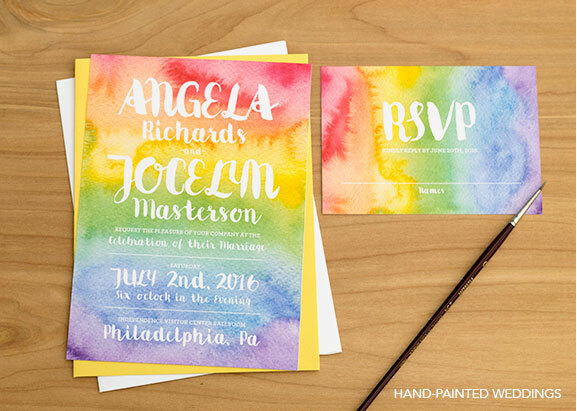 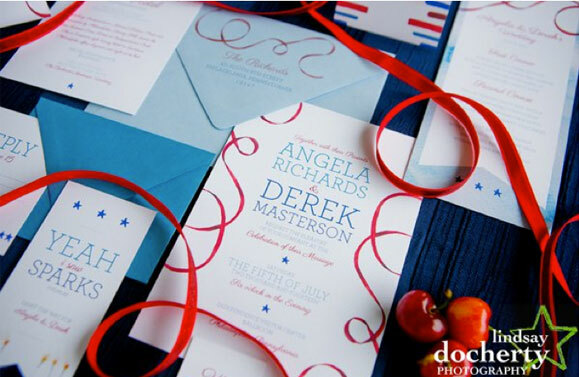 The bright colors in this invitation can’t be beat!